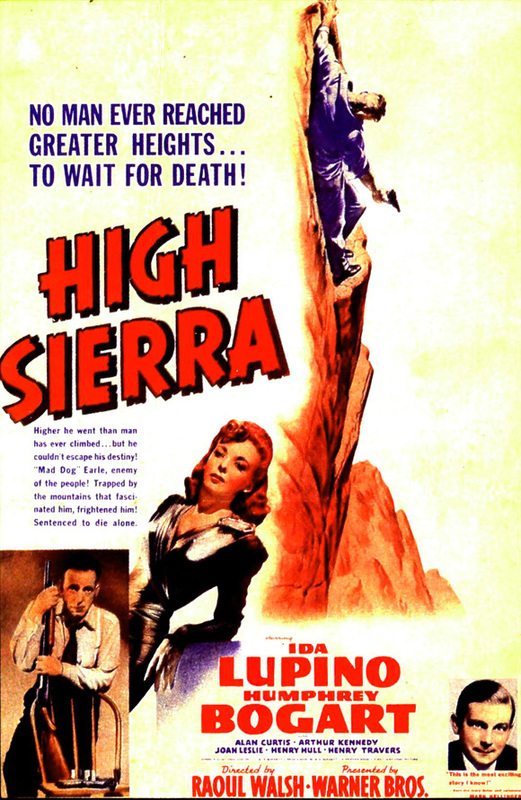 Ex-con “Mad Dog” Roy Earle (Humphrey Bogart) — sprung from prison by an ailing friend (Donald MacBride) — connects with a pair of hoodlums (Arthur Kennedy and Alan Curtis) and their luckless moll (Ida Lupino), who are collaborating with a hotel clerk (Cornel Wilde) to stage a heist. Along the way, he meets and befriends an impoverished man (Henry Travers) who is traveling to California with his wife (Elisabeth Risdon) and beautiful granddaughter (Joan Leslie). Lupino falls for Bogart while Bogart falls for Leslie, hoping to woo her through paying for an operation to fix her club-foot. Meanwhile, the heist goes awry and “Mad Dog” is on the lam once again with Lupino and a bad-luck mutt known as “Pard”. Raoul Walsh directed and John Huston co-scripted this “gangster classic” — based on a novel by co-screenwriter W.R. Burnett — which allowed Humphrey Bogart to become “a full-fledged leading man”. Peary writes that “Walsh really takes a classic western story and transposes it to the gangster genre”, noting that Walsh later refined the story in his gangster flick White Heat (1948) and remade it as an actual western, Colorado Territory, in 1949. Peary argues (and I agree) that the subplot about Bogart’s friendship with Travers, Risdon, and Leslie — despite allowing “Earle to display his good heart and Bogart to reveal a side of himself that hadn’t been seen yet on film” — “weakens the otherwise tough drama”. Though Bogart’s desire to turn over a new leaf and marry a fresh and “innocent” new girl makes sense on some level, it’s incomprehensible that he believes he can hide, sugarcoat, or excuse his past — especially given how notorious he is across the nation. Meanwhile, why would Leslie happily allow Bogart to take her hand romantically (during a key scene) if she has no interest at all in him “that way”? Other concerning elements of the film include William Best’s caricatured role as a rolling-eyed African-American “assistant” and Henry Hull’s cartoonish “Doc” Banton, whose wig and make-up are distractingly inauthentic. With that said, there is still much to recommend in this film, which is generally acknowledged as an early example of “gangster noir” (the cinematography by Tony Gaudio is wonderfully atmospheric). According to DVD Savant, it’s notable as the film that “officially marked an end to the five-year ban on sympathetic gangster characters”. 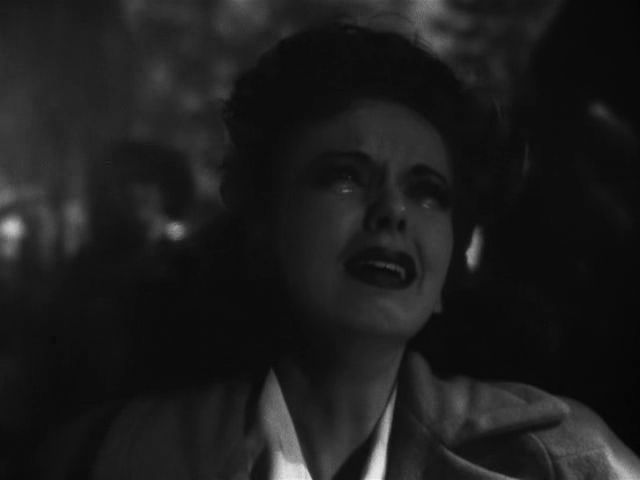 Walsh makes excellent use of on-location shooting in Lone Pines, California, and Lupino gives a nuanced and highly empathetic performance as a down-on-her-luck gal desperately in love with clueless Bogart. It’s certainly worth viewing by all film fanatics — and more engaging than its decent but unexceptional western remake. Yes, as a dated but historically impactful gangster flick. A once-must, as a solid example of classic Hollywood filmmaking. I wouldn’t call this a personal favorite but it’s well-made – Walsh’s direction of Huston and Burnett’s nicely structured script keeps things compelling. I don’t find the film “dated” but, rather, of its time (which, of course, is not the same thing). The only (minor) element I would call dated is (as noted) the unfortunate depiction of the young black boy – though if the actor were white – and dealt with in the same manner – I can’t think of anyone who would see his character as anything but terribly uneducated and with an eye problem. The subplot does not come off to me as weak – rather, it serves as a nice contrast to what would otherwise be more of an ordinary crime drama. 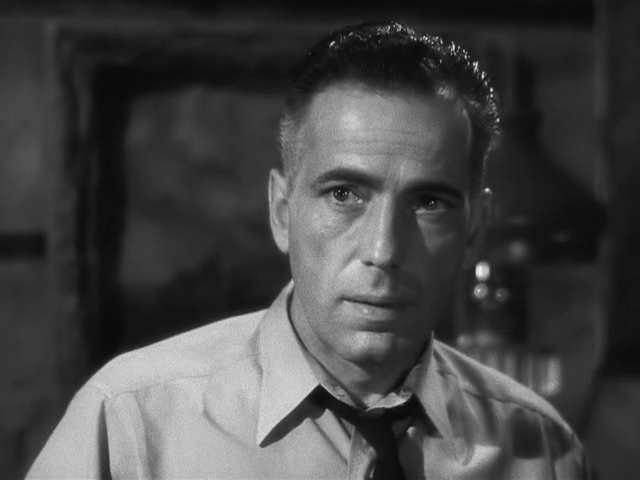 And it gives Bogart a more complex arc to play (especially when he’s genuinely being nice to people). I don’t get the impression that Bogart’s character’s interest in the young girl is “incomprehensible” – he’s not a smart guy but he has balls and visions of grandeur regarding ‘improving’ himself. 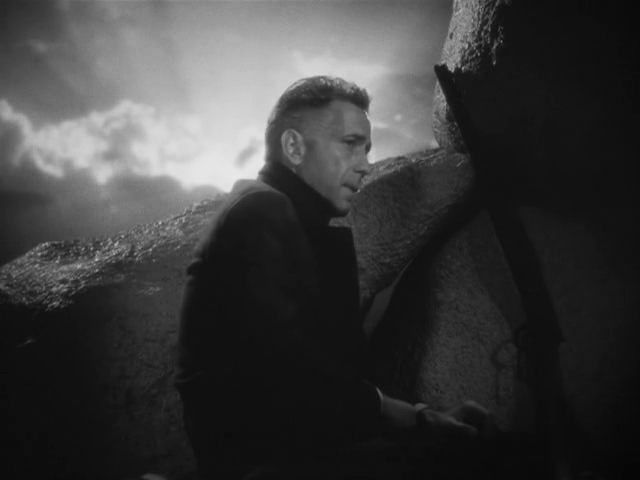 As well, Bogart doesn’t “take her hand romantically”, he places his palm over the back of her hand as it’s resting. It makes sense to me that she doesn’t pull her hand away because – as we later learn – Leslie’s character has a duplicitous nature and isn’t at-heart the sweet thing everyone thought she was. Apparently she was using her ‘sweetness’ to get sympathy all along. 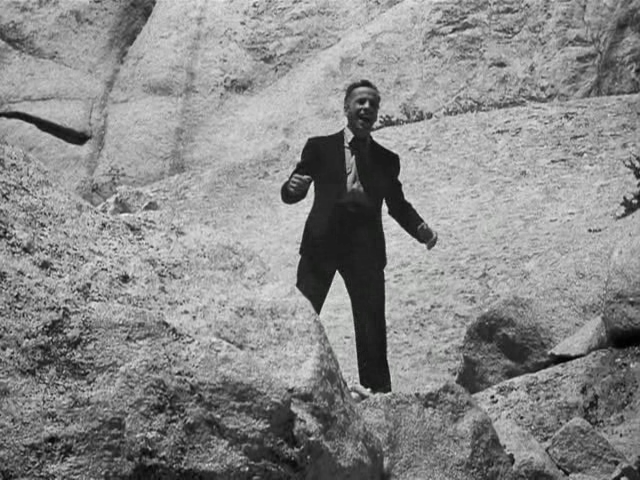 I’m a little more bothered by Lupino’s character. As written, I find her somewhat uneven and given to odd mood swings. But it’s not enough to be overly distracting – and it does, in a way, make sense because she has real reasons to have an insecure nature. Overall, I especially like the dialogue. It sounds particularly real to my ears – but then, Huston has a knack for making people talk the way people actually talk. I probably don’t think this is a great film but I do think it’s effective – and I’m particularly impressed by Bogart’s performance.